The court case against the driver who is alleged to have crashed an SUV into a cyclist on St. George Barber Rd., assault the cyclist and then leave the scene is scheduled for December 4 at 1:15PM at the District Court, 251 Rowe Blvd, Annapolis, MD 21401 ( at the corner of Rowe & Taylor), Courtroom 5 . 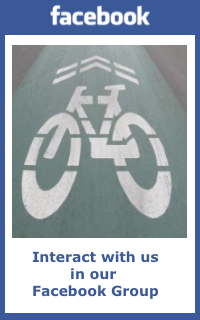 We encourage cyclists to attend and support the victim and bring attention to the need for education and enforcement of drivers using the roads safely with cyclists. Please travel there by bike if possible. It is generally no problem locking your bike just outside the main entrance along fence or chain. These hearings are sometimes postponed so you are encouraged to check the BikeAAA Facebook page or website for a status. Or you can check the court docket , enter the driver’s name and then click one of the charges. We will post again when it is rescheduled. For more about the incident, read the Capital Gazette story. This entry was posted in Events, General, News and tagged Crash. Bookmark the permalink.